There are lots of ways in to a career in Early Learning and Childcare. Plus if you have relevant qualifications and experience, you’ll be able to progress further, faster. This is an entry level position and is a great way to get some hands-on experience before you start your formal training. Tip: You can get a job as a Support Worker without any relevant qualifications, as long as you achieve a relevant qualification within a few years. It’s an Early Learning and Childcare Practitioner’s responsibility to identify and meet the care, support and learning needs of every child. Tip: You can get a job as a Practitioner without any relevant qualifications, as long as you achieve a relevant qualification within a few years. As a Manager (or Lead Practitioner) you’ll be tasked with the development, management, and quality assurance of the childcare setting – including the supervision of staff and the management of resources. Tip: You can become a Lead Practitioner after working in Early Learning and Childcare and gaining the relevant qualifications and experience. You can progress in childcare at your own pace and, as time goes on, you can make decisions about your own learning and career development. Want to know more about the day-to-day role? 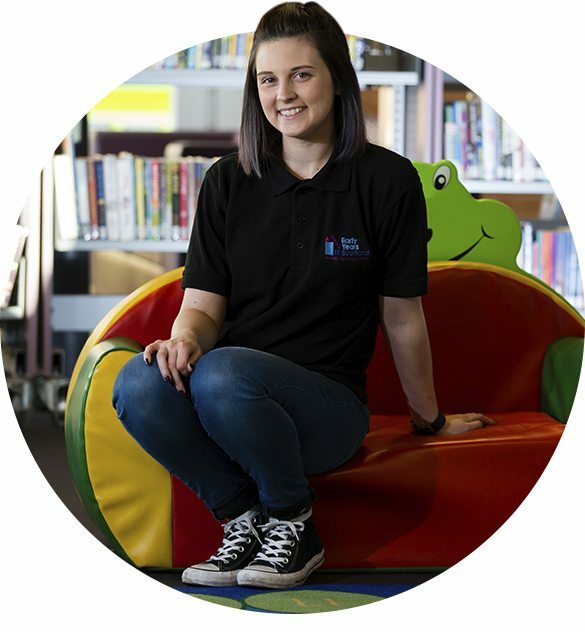 Watch our ‘Day in the Life’ video to find out how you could be spending your time as an Early Learning and Childcare Practitioner.